"About the year 1882-83 I accepted a position in the Bryant & Stratton College, Manchester, N. H., and remained with them a year as a teacher of Bookkeeping and other subjects. At that time Prof. G. A. Gaskell was president of that college. He was in the height of his penmanship skill. 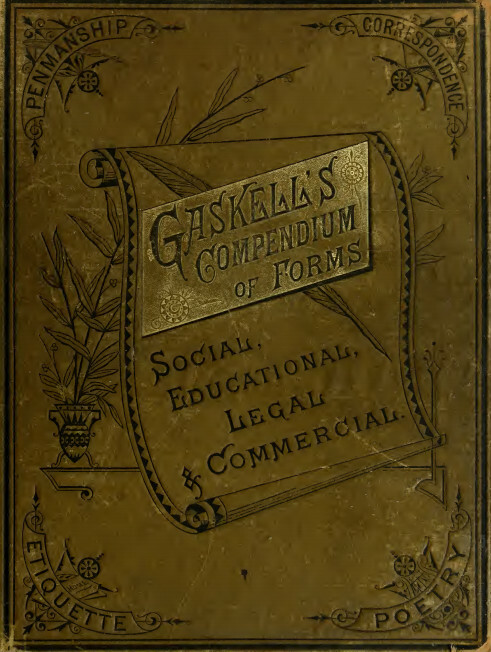 Prof. Gaskell was still a young man and of excellent personal appearance. He would be classed as a handsome man, about six feet tall. His bearing, was erect and pleasing manners. He was 'a natural orator and speaker as well as a teacher of first rank. He excelled in teaching others. 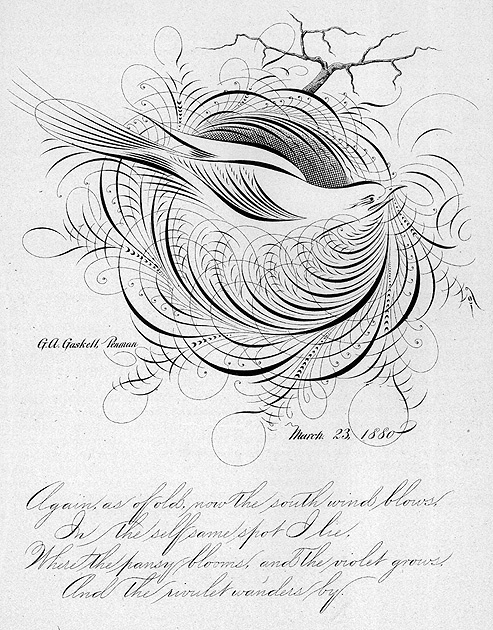 Penmanship was his favorite subject, and he did much to advance the study of good writing; in fact he became a national figure in the penmanship profession. He evolved a style of writing that was purely his own. He was a real artist and master in describing how each letter should be made, carefully showing the right and wrong way in forming letters and figures. The students soon became interested to learn how to write well. The results were that his students became excellent penmen and teachers. Shortly after I left Manchester, Prof. Gaskell died. My opinion of him stands high and I am sorry he died so young."